See the separate LT page for another Selina Hastings, Countess of Huntingdon (1707-1791), an English religious leader and key figure in the Methodist movement. 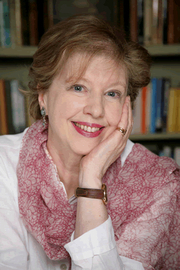 Selina Hastings is currently considered a "single author." If one or more works are by a distinct, homonymous authors, go ahead and split the author. Selina Hastings is composed of 10 names. You can examine and separate out names.